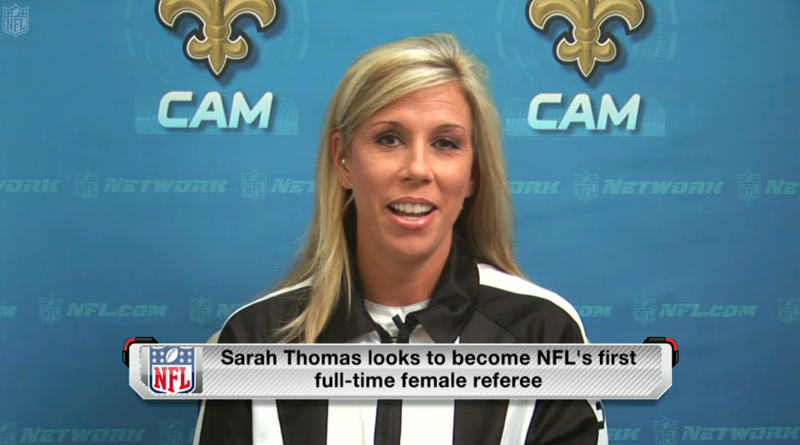 NFL female ref: Sarah Thomas will become pioneer, report says. Thomas is a Mississippi native and former college basketball player who’s worked as an official in college football’s Conference USA since 2007. She’s already the first woman to have officiated a Division I-A (now called FBS) college football game, the first to have officiated a bowl game (the illustrious 2009 Little Caesar’s Bowl), and, it’s only fair to assume, the first woman to have her soul replaced with human or dog excrement.